Having safe and convenient access to funds is a delicate business. Money that is locked down very securely may be too inconvenient to access. If it’s very convenient to get at, it may also be a security risk. 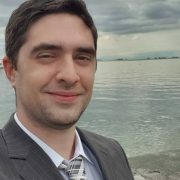 nChain’s Sebastien Plötzeneder recently broke down Bitcoin SV’s (BSV) solution to this problem, as originally explained by nChain’s chief scientist, Dr. Craig C. Wright. With Secure Split Key and Deterministic Key Generation, both technologies for which nChain holds patents, BSV can provide the best of both sides of the convenience-security spectrum. With this combination, Plötzeneder explains that there is no need for third parties to insert themselves, no unauthorized access to funds or data, and a superior ability to recover lost funds. How does BSV achieve this? Through Secure Split Key, the private key can be split into several shares, and distributed to as many parties as necessary. If any part of the key is compromised, the rest of it is still secure. That makes it safe. Access can be granted based on any security scheme the group decides on. A husband and wife together could agree they must use their parts of the key to unlock funds. Maybe it’s an individual and their wallet server. That makes your money and data as accessible as you want it to be. Through the Deterministic Key Generation, common secrets are determined by the group, and digital signatures authenticate access. As Plötzeneder explains it, “Potential attackers are prohibited from successfully imitating points of access, even if they manage to gain parts of a common secret.” Thus, the authenticity of transactions is guaranteed, and privacy is secured. To use a real world example use case, the current problems facing QuadrigaCX would be trivial if they had used the system described above. That company is unable to access their user’s funds because their now deceased CEO, Gerald Cotton, had sole access of the exchange’s private keys. Had those keys been split and distributed to several trusted parties, the funds would be available to the company despite the loss of their leader, and without fear of a single rogue member withdrawing all the funds for himself. As Plötzeneder concludes, this is a key building block to nChain’s Metanet project. The innovation here provides a valuable alternative to the current status quo, since it’s a better way of keeping and sending money and data, and removes unnecessary third parties completely. We don’t have to choose between convenience or security anymore. Thanks to nChain’s work, we’ll have the best of both worlds with BSV.